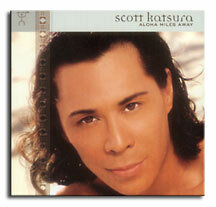 Expatriate islander Scott Katsura sets a fine example for local pop and dance music artists with this aptly titled album. While Katsura is not the first to set Hawaiian lyrics to dance beats, he is moving the genre forward. There's even a list of Hawaiian words and phrases in the liner notes for use by mainland listeners. One noteworthy original, "Mahalo America," is a catchy anthem with a subtle patriotic message. "Kalakimaka (I Love Christmas)" is one of the few recently written local Christmas songs worth hearing. "Full Circles" shows Katsura's mainstream potential as he dismisses someone who "could've been nice" but wasn't. Katsura also shows a rare finesse in interpolating other artists' hits. His makeovers of "My Hawaii" and "Brother's Got A Problem" take familiar songs in fresh directions. 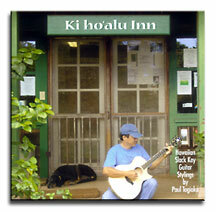 Guitarist Paul Togioka's first album is a fine debut that presents him as the proprietor of a fictional establishment well-stocked with beautiful slack key instrumentals. There's an original written to express both his love for his home island, Kauai, and as a tribute to some of the artists who've influenced him. Another was inspired by experiences on Maui. The remainder is familiar slack key material, but Togioka shifts his technique a bit to also explore pop hits and American folk music. Togioka's arrangement of "Ue O Muite Aruko" (better known to Americans as "Sukiyaki," Kyu Sakamoto's 1963 hit single) goes outside the conventional slack key repertoire, but the connection is revealed in the liner notes. Slack key aficianados will find Togioka's tunings listed there too. 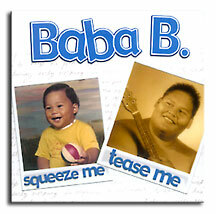 From his first success with "Big Boy In Love" to his latest album, Baba B has kept true to the style of music he knows best. Fans will find the usual package of earnest lyrics, poppy reggae-lite arrangements and generic island music-style remakes,and a heartfelt honesty that generally redeems the material. While the producers fail to provide composer credits, there are two obvious oldies in "Just the Way You Look Tonight" and "Something," and an uncredited melodic interpolation of "Mr. Lonely" used in "I Just Want the Best." Everything else sounds like Baba's work. Baba tries to persuade a woman to betray her boyfriend "only for one night" in "Get You In My Bed," but shows his sentimental side with "Two Moms." He also addresses the topic of drug addiction on "We Want It to Go Away" and adds an honest biographical statement with "Still Your Big Boy." "I Just Want The Best"